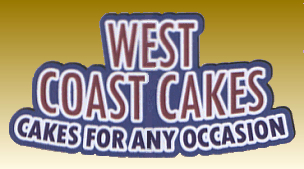 West Coast Cakes is a small company based in Largs, Ayrshire, Scotland. We specialise in making unique and exclusive handmade novelty cakes for weddings, parties or special events. Due to the delicate nature of a cake, we do not use a courier service for delivery. Generally, the cakes are collected or we will deliver locally if this has been arranged. All our cakes are individually designed and made-to-order. We will consult with you to help you design an outstanding cake for your centre piece of celebrated moment. Please call into the shop, phone or mail us for a free no obligation consultation, details are on our contact us page.